Lloyds Banking Group loses senior digital specialist as Societe Generale appoints chief innovation officer. Societe Generale has poached senior digital and innovation specialist from Lloyds Banking Group Claire Calmejane as its new chief innovation officer. Calmejane will be responsible for driving the efforts of both internal and external startups, developing partnerships and developing the bank’s use of disruptive and emerging technologies to enhance Societe Generale’s services. She began her career at Capgemini Consulting in 2006 where she helped financial institutions implement new digital strategies and technologies. 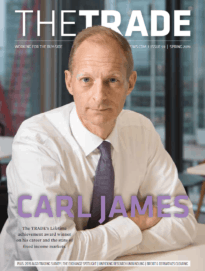 Six years later Calmejane joined Lloyds Banking Group as head of digital delivery in the online services department and established the bank’s innovation Labs and Digital Academy. She has also worked for the World Economic Forum exploring the use of artificial intelligence in financial services. Societe Generale explained that Calmejane’s appointment is in line with its ‘Transform to Grow’ plans and digital and innovation strategy as the bank identifies new business developments in services for clients. “Her expertise in FinTech and open banking and her involvement with the World Economic Forum on artificial intelligence and automation issues make Claire Calmejane a recognised specialist in digital transformation in the banking sector and the ecosystem of innovation,” Societe Generale said in a statement. 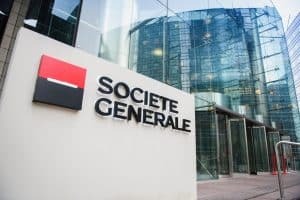 Calmejane will report to Societe Generale’s chief executive, Frédéric Oudéa, who’s digital strategy aims to put the investment bank at the forefront of innovation. 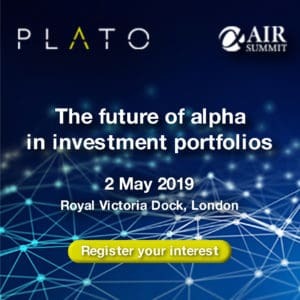 “New technologies, new client behaviours: we see this enthusiasm for digital solutions as an excellent opportunity to reinvent all aspect of the bank of tomorrow. An opportunity to develop new value-added services for our clients, real-time and personalised services available on a large scale,” Oudéa said about the digital strategy.